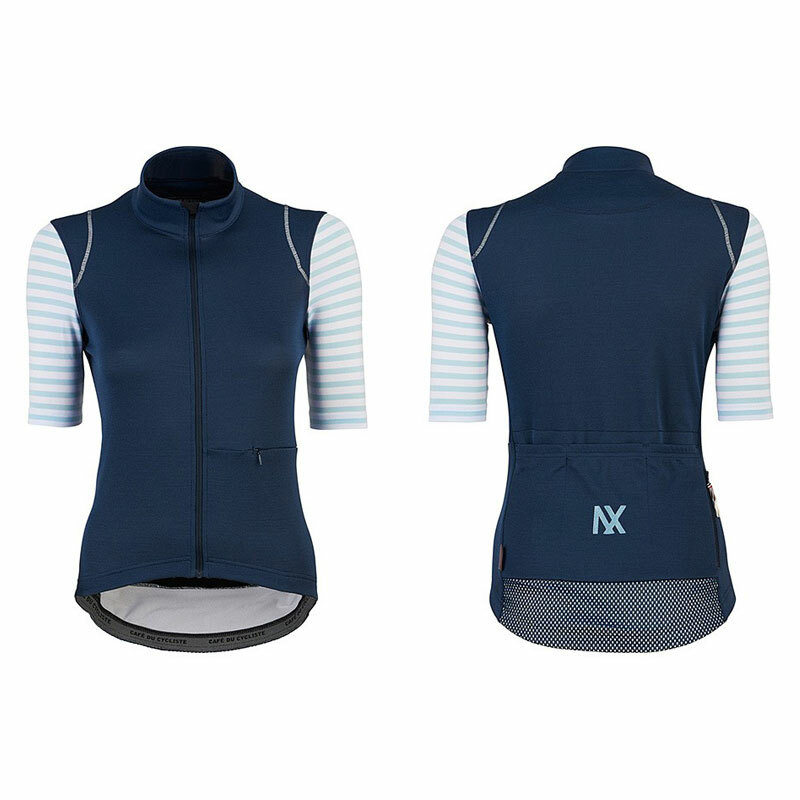 Our women’s Monique jersey takes full advantage of merino’s natural thermoregulation, odour resistant and moisture management properties. The performance blend is high wicking and exceptionally breathable to aid maximum effort across a wide range of temperatures. 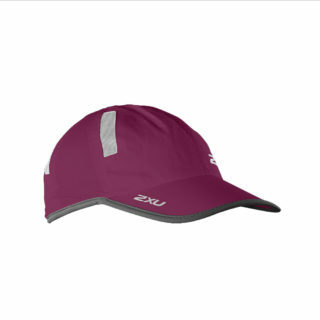 The main fabric has added stretch to ensure a full range of movement on the bike while the second fabric allows for a close, ergonomic, fit across the upper arms. Designed with longer distances in mind, Monique comes with extra loading capacity for carrying essentials. Along with three rear cargo pockets and a spacious rear zipped pocket, there is also an additional side pocket. 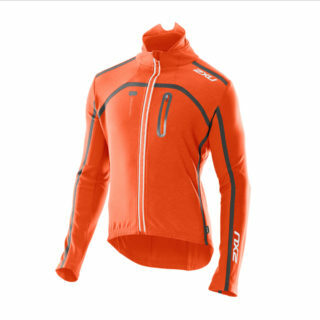 The jersey has added reflectively for security when the light begins to fade out on the road, with an oversized rear panel positioned below the pockets and a reflective trim on both shoulders. 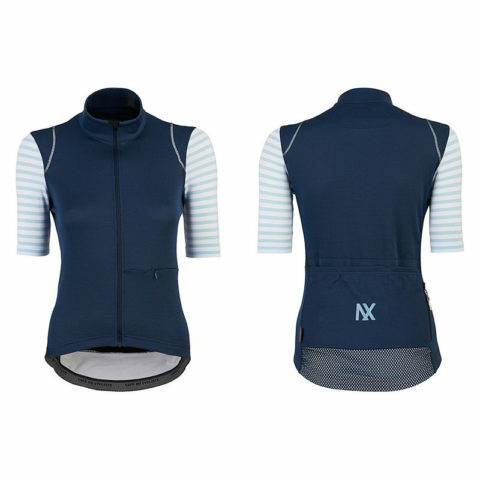 The rear of the jersey includes an embroidered Café du Cycliste Audax logo.